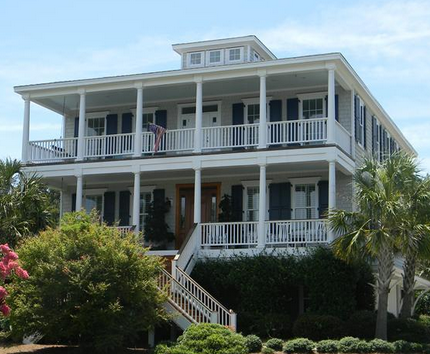 The beautiful single family home on 5236 Masonboro Harbor in Wilmington, North Carolina 28409 is a unique property. This home is a whole four floors that is comprised of six bedrooms, four baths, a half bath and even an extra wide 32-foot boat slip. All of this is situated in an entire 4,801 to 4,900 square feet, which is on over a half acre of private property. Furthermore, this home is overlooking the Marina, the Intracoastal Waterway and views of the beautiful Ocean. On the first floor, otherwise considered the In-laws quarters, there are two bedrooms, a home office, a family room/den area, four guest rooms and a fifth extra quarters area. Also throughout the home are blinds, ceramic tile or wood flooring, double paned storm windows, hurricane shields, ceiling fans and built-in surround sound wired through the house. 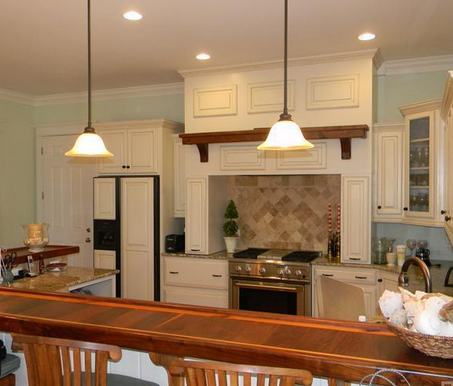 There is also a laundry room, pantry and a porch on two levels of the home. On the second floor of this property resides the master bedroom, a full 20 by 20 foot living room, the kitchen and the dining room. There are many appliances furnished in the kitchen such as a dishwasher, a garbage disposal built in to the sink, a refrigerator and a freestanding gas range. On the third floor of the home, there are three bedrooms and the fourth floor has a loft tower room. For ease of convenience of getting to the different levels of the home, there is an elevator shaft designed into the house. This home is constructed in a stick-built design with a wood frame and shingle roof. The exterior finish is elegant cedar siding that encompasses the home in a Mountainous atmosphere. On the over half an acre of property, the back yard is fenced in so there is privacy for playing children, the family and their pets. In terms of the parking space, this home has a three-car attached garage. An electric heater warms the home via forced air throughout all of the living quarters. Meanwhile, the home is connected to the municipal water supply for both water and sewer. As part of the home, there is also a landscape sprinkler system built in to maintain the grass and vegetation on the property. This property is situated in a Cul-De-Sac lot within a gated community that offers pristine privacy and security from outsiders. When purchasing this home, the buyer will also enter into a neighborhood association program. As part of the private association, there are neighborhood amenities and benefits for a required monthly fee. The association fee includes an assigned boat-slip, covers fees for commons areas and road maintenance, security costs and other applicable expenses. The neighborhood is equipped with docks and ramps for the handicapped, as well as picnic grounds and parks for relaxing in comfort.